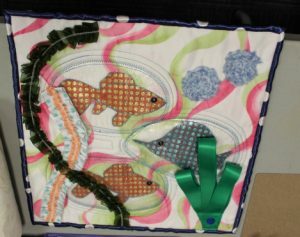 In order to promote a certain sense of social responsibility, the vast majority of quilting guilds make projects to give back to their community. 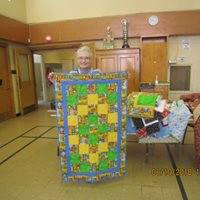 Our guild has decided to make quilts for the organization Le Portage servicing women who are pregnant or who have very young children and who have difficulties with drugs or delinquency until they can manage to take control of their life. 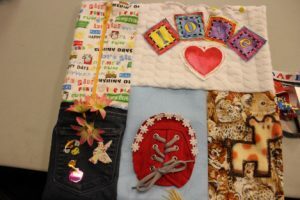 Sleeping bags for babies that are also used as blankets given to La Fondation Centre Jeunesse in Montreal. 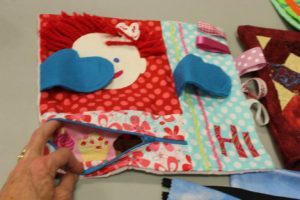 For the year 2017-2018, for our community work, we concentrated on making bags for a home for women in need. We paired up our community work activity with our new year’s lunch. On November 23rd, we first exchanged fabrics between members and then we proceeded to make a bingo card for our New Year’s lunch activity. 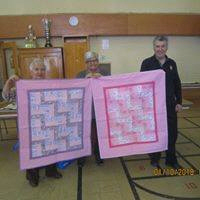 During our January 4th lunch, members made one or more blocks and played bingo. After the activity, blocks were handed out to officials of our community works. We made bags during three days dedicated to community work. These bags were then given to ‘The Prelude’ organization in the fall of 2018. 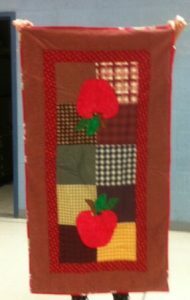 Our guild has distributed fidget or tactile mats to a school for autistic children. 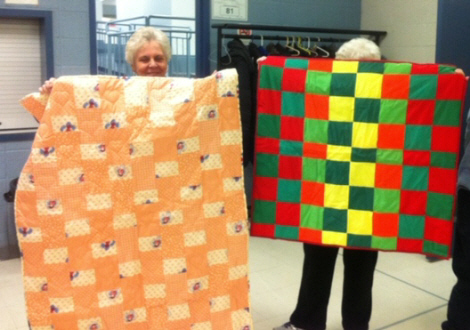 Our guild has decided to make baby quilts, throws and bed size quilts for shelters for Quilts of Valour. 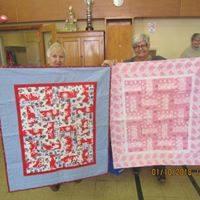 This is because one of our past presidents passed away and left us many fabrics. 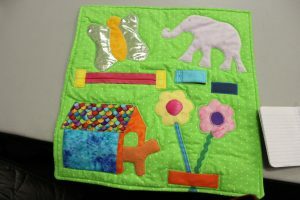 Also, one of our members is involved with a native women’s shelter for which we have made baby quilts, throws and other baby needs. 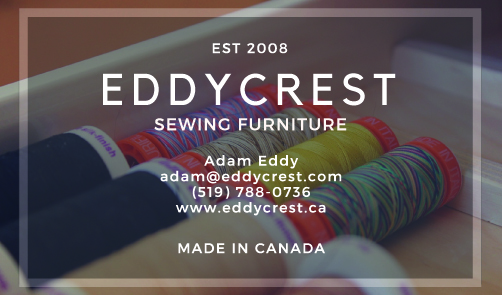 We have started our project and pictures should be available in October 2019. 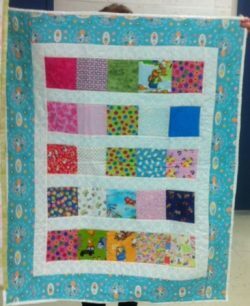 Our guild intends to make about 25 baby quilts for the Maison de la Famille de Lachute. These will be given to mothers in need who just had a baby. 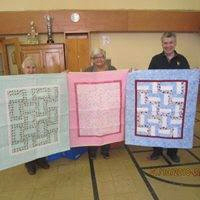 This year, our guild will make baby quilts for a Centre for needy young mothers.